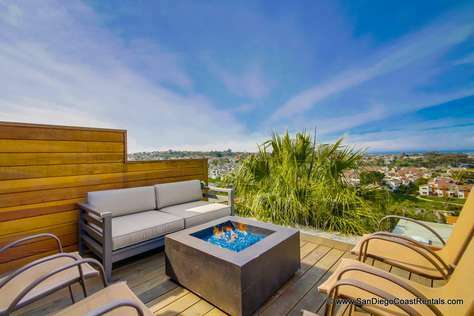 Search for Carlsbad Vacation Rentals by Calling (858) 531-3247 or View San Diego Coast Rentals Properties Online. There’s something for everyone to do – from families to newlyweds and retired couples. For children, the most exciting attraction in the area is LegoLand. Not only can you see incredible LegoLand exhibits, but you can also go on rides at local theme parks, participate in shows, exercise in play areas, eat at a variety of restaurants, and shop at many different specialty stores. LegoLand itself features a waterpark and aquarium, which allows you to explore what’s beneath the water’s surface. A short drive south of Carlsbad is Seaworld and the world famous San Diego Zoo, always family favorites. If you head east of Carlsbad you will find the Safari Wild Animal park. You can also get to Disney Land, located in Anaheim by driving about 90 minutes north. You might also visit the beautiful Flower Fields at Carlsbad Ranch if you come to visit in the spring. Finally, don’t forget to explore Leo Carrillo ranch, owned by the famous actor of the same name. Situated inside of a 27-acre canyon, the ranch features a number of structures that allow you to explore California history. The Carlsbad area features two main beaches stretching more than 7 miles. Each beach allows you to participate in different activities, ranging from swimming to surfing. You can also bring an RV or tent and camp at one of the more than 200 sites available. Situated atop bluffs overlooking the ocean, the campground delivers a memorable experience. Provided you follow the local rules, you are allowed to bring a dog. Golf enthusiasts won’t be disappointed when visiting the Carlsbad area. The area features several different courses, including La Costa Resort and Spa, Park Hyatt Aviara Resort, Lake Carlsbad Municipal Golf Course, Rancho Carlsbad Country Club, and the Crossings at Carlsbad. Each course has its own unique flavor, and anyone who loves golf is sure to find at least one course that satisfies their taste. Carlsbad won’t disappoint golf enthusiasts, and neither will it disappoint their spouses who choose to shop in the meantime. Whether you are looking for luxury or something simple, there’s a store with something you are looking for. Jewelry, art, knick-knacks of all kinds, and a farmer’s market are just some of the features you will find. You might also stop by the Carlsbad Premium Outlets, an entire center of its own that has more than 90 different stores. The Village Faire Shopping Center, on the other hand, has more than 30 restaurants and stores fitting a Caribbean theme. 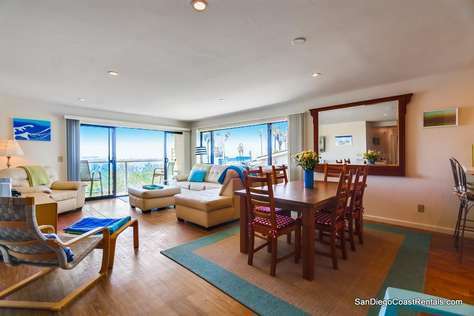 Are you looking for luxury vacation condo or home rentals, or economy properties in Carlsbad? 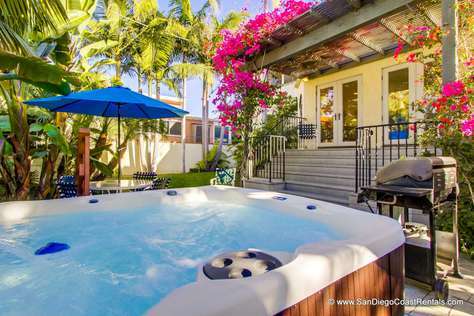 Either way, you can find a type of lodging that suits when you visit Carlsbad. Stay right on the beachfront, or go a little further inland. Either way, you are sure to find something you enjoy that also fits your budget.